Celebrities can’t get enough of THIS £12.50 moisturiser. 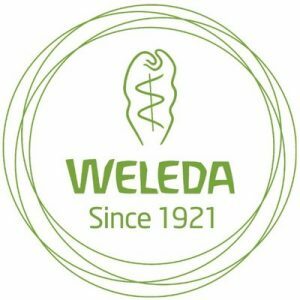 But what makes Weleda’s Skin Food so special? Weleda Skin Food has become a travel essential for many jet setters. Ideal to protect and replenish skin that’s been blasted by air conditioning or on the ski slope in biting winds, it also helps restore radiance to lacklustre skin. For years Skin Food was somewhat of an industry beauty secret, but in the past decade has become a firm favourite with many high-profile celebrities. Skin Food’s enthusiastic fan club includes singers Anne-Marie, Adele, Birdy, Joss Stone and Rihanna; television presenters Laura Whitmore, Fearne Cotton, Amanda Holden, Claudia Winkleman and Anthea Turner; plus actresses Julia Roberts, Brooke Shields, Kerry Washington, Winona Ryder, Priyanka Chopra and Lili Taylor. Weleda Skin Food is my go-to product for a fresh glow. I love to add a touch to the high points of the face i.e. cheekbones/brow bones for that dewy glossy finish. For my clients it’s a must-have beauty essential”. Top models and fashionistas Alexa Chung, Suki Waterhouse, Victoria Beckham, Helena Christensen, Carolyn Murphy, Chandra North, Doutzen Kroes, Jacquelyn Jablonski, Angela Lindvall, Jessica Stam, Claudia Barila, Behati Prinsloo, Lyndsey Wixson, Dree Hemingway, Karen Ferrari, David Gandy and Andrew Cooper are all fans too. All of skin Food’s ingredients are NATRUE certified: all natural and include extracts of organic chamomile, calendula and wild pansy to soothe rough skin, plus rosemary to revitalise dull complexions. This deep-penetrating cream also contains natural plant oils and waxes known for their richness and gentleness. The refreshing fragrance is from pure essential oils including sweet orange and lavandulae, so artificial preservatives or parabens are not needed. It’s just what your skin has been waiting for. The gorgeous people at Weleda HQ are offering you the chance to try Skin Food for free! One lucky winner will receieve a 75ml Skin Food PLUS a copy of Pretty Iconic: A Personal Look At The Beauty Products That Changed The World’, by Sali Hughes. Two runners up will receieve a Weleda Arnica Trio Gift Tube worth £12.95. For your chance to win, enter below! Natural beauty brand Weleda has teamed up with graduate fashion students of Northampton University as part of a year-long campaign to mark the 90th anniversary of its original and best-selling skincare product, Skin Food. Challenged to create designs inspired by the iconic backstage beauty hero, the students work will be showcased by Weleda during London Fashion Week in front of a high profile judging panel including: Fashion Commentator Caryn Franklin, Tracy Mulligan (Creative Director of sustainable fashion brand People Tree), Diana Verde Nieto (Founder of Positive Luxury), Julie King (Head of Fashion at the University of Northampton) and Weleda’s Regional Director for Western Europe Peter Brändle. Together they will select a designer to win the Weleda Skin Food Fashion Award and bursary, and a year’s supply of Weleda skincare! The project with Northampton University is just one way that Weleda is celebrating the special relationship Skin Food has forged with the world of fashion in its anniversary year. Weleda continued to support emerging talent by sponsoring Northampton University’s graduate fashion show in June 2016. They’re also partnering with Felder Felder at London Fashion Week this September to help communicate the brand’s new sustainable messaging. The winning Skin Food design will be announced on September 17th at a dedicated Fashion Week party with the judges picking their favourite showcased design from a shortlist. Good luck to all competing students from everyone at allbeauty.com!